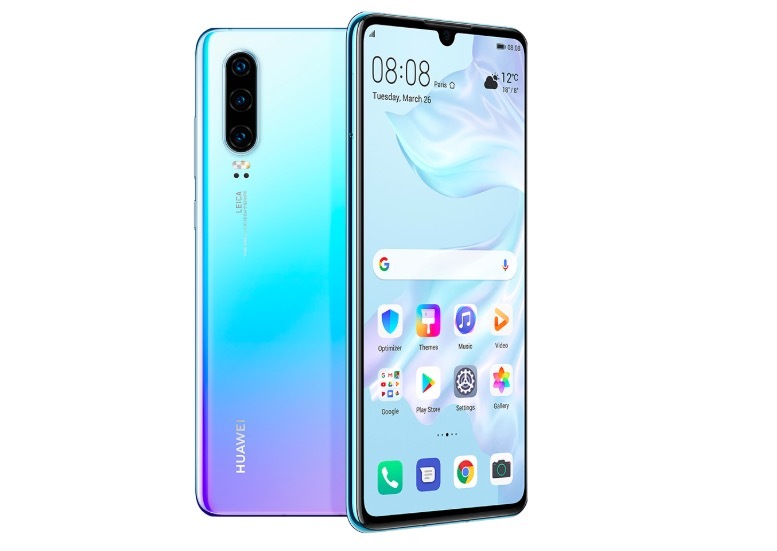 Huawei has officially unveiled Huawei P30 along with Huawei P30 Pro at an event in Paris. I will talk about Huawei P30 Pro in a separate article so that you don’t be confused in their specifications. Huawei P30 features a 6.1-inch Full HD+ AMOLED display. It has dewdrop notch at the top of the display. The phone has a glass back and will be available in Black, Breathing Crystal, Aurora, and Pearl White colors. Huawei P30 packs Kirin 980 chipset and comes in two RAM/storage options including 6GB/128 GB and 8GB/128 GB. Storage can be expanded using a Nano-Memory card. It runs on EMUI 9.1 based on Android 9 Pie. The phone has In-Screen Fingerprint Sensor. Other sensors including Ambient Light Sensor, Gyroscope, Compass, Proximity, Hall, Gravity, Laser and Colour Temperature Sensor. The phone has IP53 rated for being a splash, water, and dust resistant. The phone has a triple rear camera co-engineered with Leica. This camera setup includes 40 megapixels (Wide Angle Lens, f/1.8 aperture), 16 megapixels (Ultra Wide Angle Lens, f/2.2 aperture) and 8 megapixels (Telephoto, f/2.4 aperture, OIS) cameras. There is also a 32 megapixels front camera with f/2.0 aperture. Connectivity options include dual 4G, Wi-Fi a/b/g/n/ac, dual-band GPS and Bluetooth 5. It packs 3,650 mAh battery with 22.5W SuperCharge fast charging. Even if the phone has a glass back, it lacks wireless charging. It will be available starting from 799 Euros.